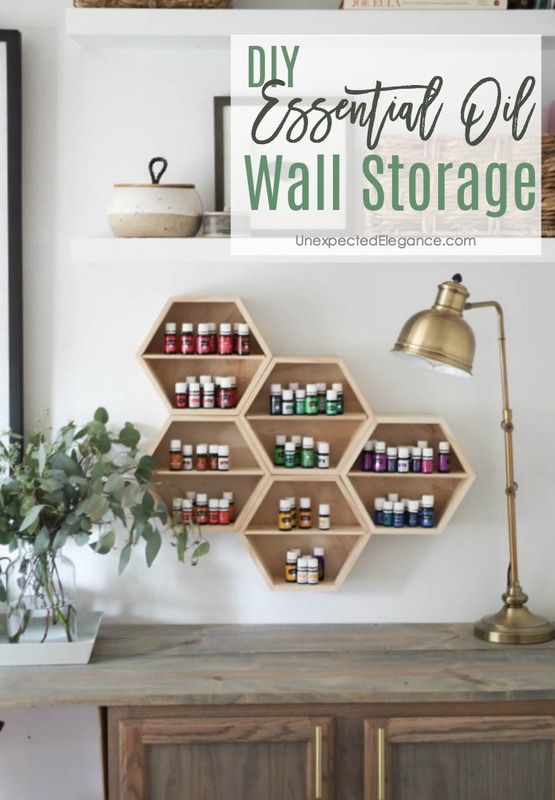 Quick and EASY DIY Essential Oil Wall Storage that is Pretty! 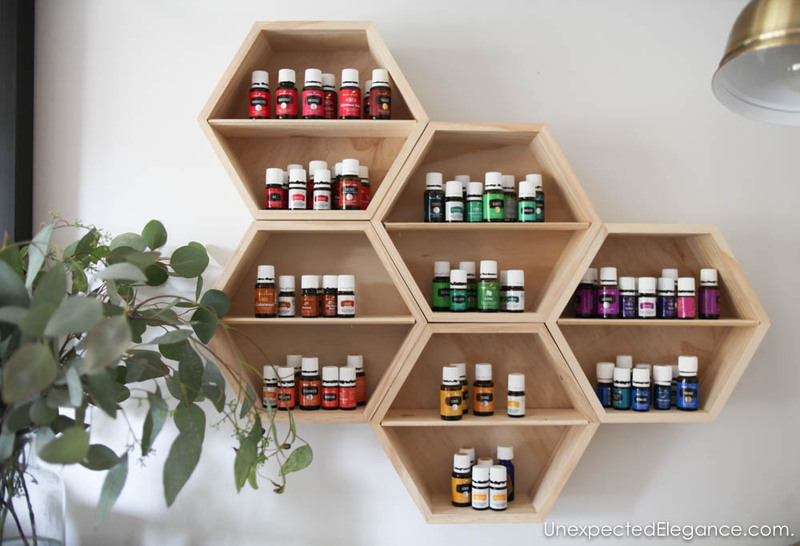 Need an organization system for your oils? 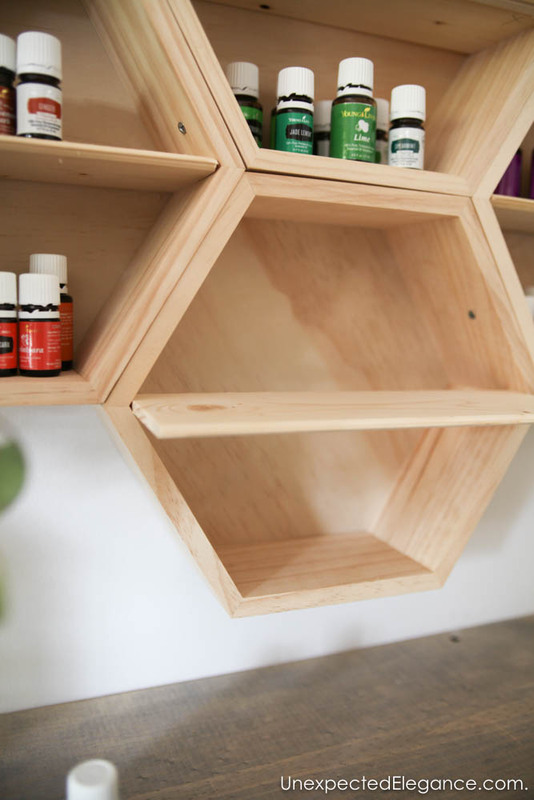 I’ll show you how to make this DIY essential oil wall storage system. It’s not only functional but it’s also pretty! 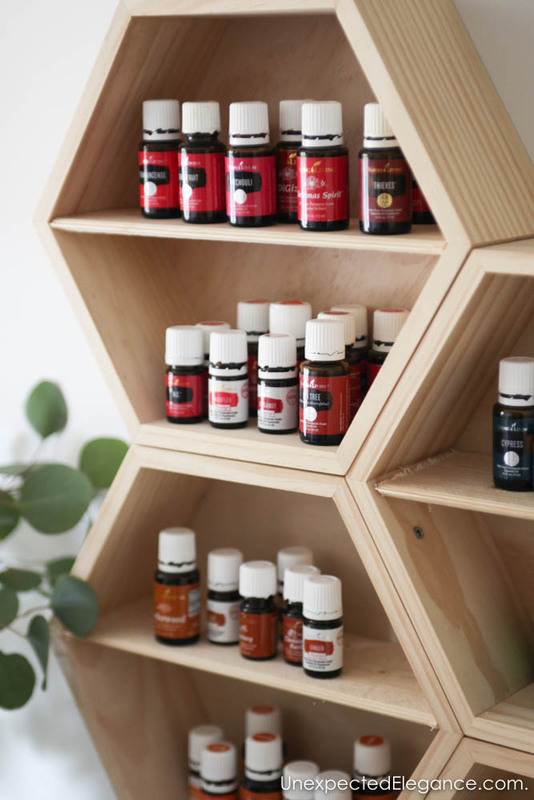 About a month ago, I posted a story on Instagram about my office and I got a ton of questions about my essential oil storage. I thought since I had so much interest, I would just share how I made them with you. This is a very quick an easy project! All of the hexagons shapes are from Target for around $7 each. I wanted 5 for the shape I was making, but you can choose to use more or less, depending on your wall space. I laid out the configuration I wanted on the floor. Then I attached them all together with short screws. You can see in the photo below where the screws are attached to hold all of them together. I chose not to paint my shelves so the screws are more noticeable. However, if you choose to paint your shelves the screws will be a lot less visible. Next, I made a template out of cardboard for the middle shelf, then cut my scrap wood. The cardboard makes it a lot easier to adjust all the measurement before you cut the wood. I found the studs in the wall using my stud finder and hung the whole unit. I just drilled through the back of a few hexagons, right into the studs. Finally, I added the middle shelves and organized all my oils by color. Amazing idea! 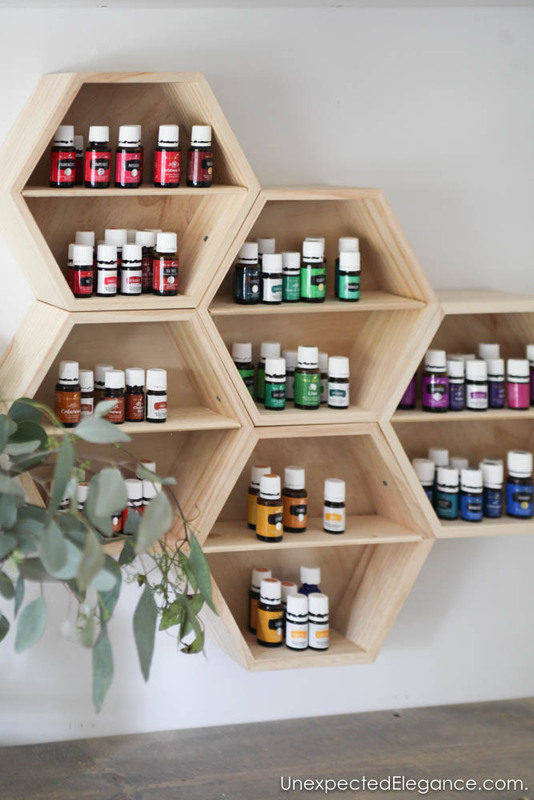 I don’t have that many essential oils. Where is this available.